And because of this, UNIQLO introduces the Miracle Air fabric, which was the brainchild of a special collaboration with leading textile and denim industry leaders Toray and Kaihara. The result is a blend of high quality fibers that are 55% hollow in the centre and 20% lighter, the Miracle Air Skinny Fit Tapered Jeans is comfortable and conforms to complex body movements. And to prove this, what better way than to put it to the test? 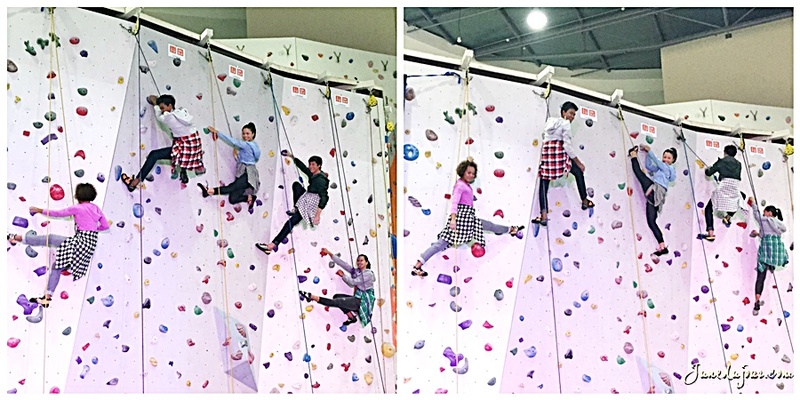 The Uniqlo team had 5 models don on the jeans to scale up the rock wall while striking fiercceeee poses; and you wouldn't believe the speed in which they climbed! And before we could get over the awe, out sprouted a flash mob that began doing breakdancing and hiphop effortlessly in their blues. It isn't surprising, since the Smart Shape Jeans actually marries the use of Lyocell, an ecological plant fiber that creates denim fabric that feels soft and comfy while still flattering the curves of your body. Its still thicker than the Jegging, but definitely does not lose out on elasticity and softness. 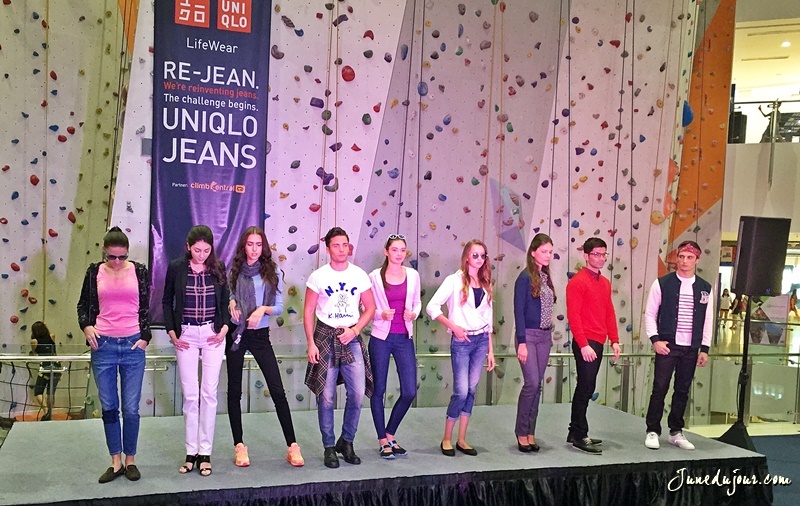 The UNIQLO Smart Shape Jeans are now available in five colours for various fashion styles, as shown in their runway show that showcased different styling options such as sporty cool, casual and smart casual chic. I can definitely see myself in Smart Casual chic for both work and play! Staying true to the art of denim making, the Stretch Selvedge Slim Fit in particular uses the traditional production method that involves original weaving machines and special craftmanship. I'm really loving especially the rich color choices of the jeans, and its so dreamy to wear since its not tight or constricting (which is a godsend since I have Eczema and tight fabrics actually cause me to break out in hives). 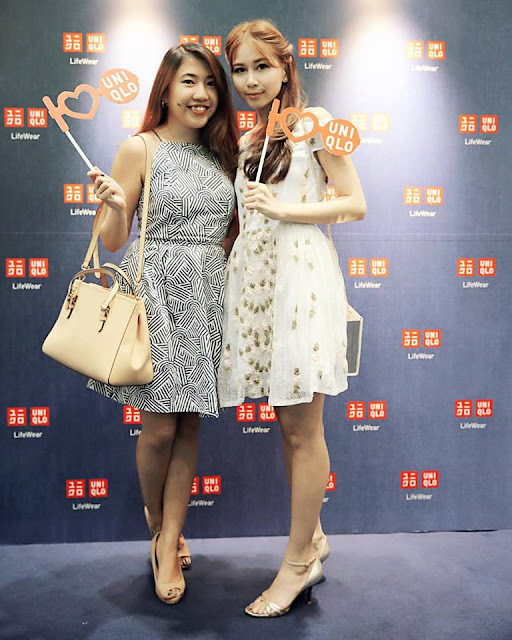 Thank you WOM Pr and Uniqlo for the kind invite! The UNIQLO Miracle Air Jeans & Smart Shape Jeans are currently retailing at all UNIQLO outlets islandwide.